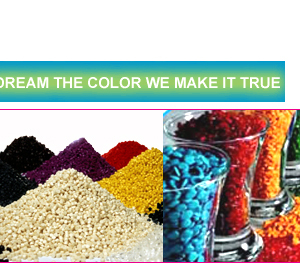 SACHDEVA INDUSTRIES was established in 1982 as a unit colouring plastic raw materials. Seeing an increasing demand of master batches, the company diversified into field of colour & additive master batches under the brand name RANG MAHAL . Now this tradition is changed by SACHDEVA POLYCOLOR PVT. LTD . Today we are ISO 9001:2000 certified and one of the reputed name in the Polymer Industry. Our plant located in Bawana Indl. Area Delhi, India, equipped with state of the art technology which ensures consistent quality by a Competent term of technical personal. Today we have wide range of colour & additive master batches. We provide our customers best products for their needs. RESEARCH AND DEVELOPMENT: Our lab is equipped with two roll mill, injection moulding, MFI tester, carbon contents tester, pilot plant of mater batches etc. We carefully select the pigments, additive, polymers according to the required shade, heat stability & light fastness. This unit has been responsible for developing master batches which make re-processed materials look as similar as virgin which has become our specialty. 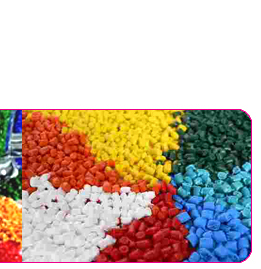 APPLICATION : Mater batches for commodity plastics: GPPS, HIPS, LDPE, HDPE, LLDPE, P.P., P.C., ABS & Nylon etc. We manufacture master batches for Various Industries such as Injection Moulding, Blow Moulding, Sheet Extrusion, Roto Moulding, Battery Containers, Coating Powder, Taruplin & Films, Thermoware, Toys, Auto Parts, Pipe & Pro files, Stationery, Furniture, Woven Sacks, Electrical & Electronics, Gift Items etc. 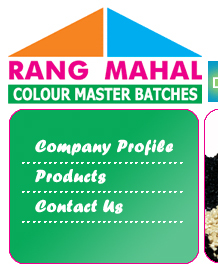 Rang Mahal is one of the pioneers in the manufacture of colour & additive master batches. We have a wide range of colour master batches in standard colours, fluorescent, pearlescent, metallic, granite, glitter effect & pastel colours etc. We offer a wide range of white master batch with specific colour tones. Tio 2 (Titanium Dioxide) is the primary colouring agent used with waxes, brighteners which enhance and ensure whiteness that it disperses properly in the plastic ensuring maximum efficiency of the master batch. We offer our customers a rich selection of colour master batches. In the unlikely case of your required shades not being available, we have R&D unit which guarantees to develop the shade. Our additive master batches include : Optical Brighter, Nucleating Agent, Foaming Agent, Anti Microbial, U.V. Stabilizer, Matting Agents, Antistatic, Antiblock & Slip, Processing Aids, Antioxidant etc. To furnish the varying desires of our customers, we are immersed in offering a world class consignment of Molding Masterbatches. Supported ourselves with proficient amenities, we are readily instrumental in providing an inclusive variety of Roto Molding Masterbatch. Keeping our synchronization with the development taking place in this industry, we are engrossed in delivering a broad range of XLPE Masterbatch. Leveraging on our skilled and qualified professionals, we are actively involved in offering a trendy range of Fluorescent Masterbatches to our valuable customers at pocket-friendly prices. Keeping in sync with the latest market norms and policies, we are indulged in providing a high-quality range of Liquid Pigment Concentrates. We offer extensive range of masterbatches for PET Fibers & PET Bottles which meet stringent requirements of food/packaging (FDA Approved) with brilliance in transparency & color strength. The colors can be formulated in a vast array of bright & rich shades that frequently cannot be achieved with traditional pigment / dye technology. For housewares, sporting goods, toys we offer specially formulated quality products with high loading of pigments gives excellent gloss and surface finish. These include : Fluorescent, Pearl , Granite, Metallic & Marble etc. We have a range of Transparent Master Batches for film, sheets, food packaging, Cosmetic Containers etc. for use in many type of plastics. For Wovansacks, H.M. Films, Moulded Furniture, HD, P.P. Blow & Moulding, Sheets & Profiles. Our main mission is to understand the customer requirement : timely delivery & quality product at affordable price. Packaging: Our master batches are packed in 25 kg HDPE/PP laminated bags with additional liner inside the bags.